Giridih is woven with rich cultural and traditional values. The vibrant culture and customs add to the life of the city. Giridih was carved out of earlier known Hazaribagh district and made a new district on the 6th of December 1972. Amidst the growing urbanization one can find the roots of social and cultural still embeded here. The city has emerged as a secular place where people from different sect and ideologies reside together in great harmony. The city together celebrates different festivals like Diwali, Holi, Eid and Christmas and more. The several historic monuments in the city reflects glimpses of its glorious past. Being an emerging city, Giridih doesn’t have night life culture, vibrant discotheques and mals but is bestowed with many beautiful natural sites and religious places. The people residing in the city have great faith in their values and traditions. Giridih is home to people belonging to different sects. From the followers of Hinduism Jainism and Islam you can find all practicing their sects with ease in this part of Jharkhand. The city is jutted with numerous Temples, Mosques, Churches and Gurudwaras. The people of every religion live together with communal harmony and adds to cultural richness of the city life. Parasnath temple which is a well known Jain pilgrimage destination in India is situated in Giridih district is also visited by people belonging to other sects. The city also has Langta Baba Samadhi Sthal which is located in Kharagdiha, about 30 km North West of the town on road towards Jamua. The Samadhi Sthal is revered by both Hindus and Muslims in the city. Harihar temple is another famous Hindu temple in Giridih district. The Shiva Lingam in the premises is said to be one of the largest in India with the height of 65 ft. Hindu pilgrims from all corners of the region visits the place during Shiva Ratri festival. Hindi is the common language of the city. However in tribal dominated are a Santhali is also spoken by tribals of the region. 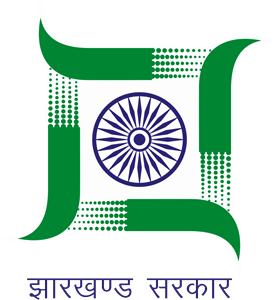 All governmental advertisements, communication, programs and public activities are generally conducted in Hindi. In educational institutes English is also used as a formal language for communications. Due to the usage of Hindi language in the city, travele find it easy to communicate with the inhabitants of the region. The communication and languages used in the city is quite understandable thus it does not create any communication barriers. The cultural and traditional mosaic of Giridih is shaped by generations of communities living since centuries. The tribes such as Kols, Bhils, Santhals, Banjaras, Bihors, Chero etc. have left a strong impact on the culture and tradition in this area. Influence of Buddhism, Jainism and Islam can be felt in the region. The oldest known cave paintings were found in region is known as Shabars. The folk music of the region is influenced by the music of Bihar and West Bengal. The folk music in the region not only sung for entertainment but the music conveys great social and ritualistic message in the society. Jhumar is one of the most preferred music forms in Giridih . The folk dance is mainly practiced by Santhali peoples using their traditional drums and conches. Jhumar is sort of group performance, which is performed with folk songs. The dancers sway in time to the intoxicating rhythms produced by the musical instruments. The city is steadily becoming urbanized and the modern songs has started penetrating the region, Yet the folk songs and dances are still relevant in the current times and are performed during special seasons and auspicious occasions by the locals and reflect the prevailing culture in the city.